1.) Choose your Tea. 2.) Choose the sweetness level. 3.) Choose your sinker. You can enjoy hot or cold tea with a vast selection of sinkers (already included in the price). Sinkers, as they are fondly called in this establishment, add texture and extra flavor to your drink. Choose from pearls, crystals, QQ, egg pudding, black bricks or lime jelly. Even the sweetness of your tea can be adjusted – 5 levels to choose from so you can be sure it’ll be just the way you like it: 0% (No Sugar), 25% (Mild Sugar), 50% (Half Sugar), 75% (Less Sugar) and 100% (Standard). Creating my first cup of Serenitea was rather easy! To be safe, I ordered what usually tops their list – A small Okinawa Milk Tea with Pearls and a 75% sugar level. All for Php85.00. My tea was spot on perfect! 1.) Freshly Brewed Tea – No milk. Just pure tea. 4.) Milk Tea – One of the common teas that can be bought almost anywhere. 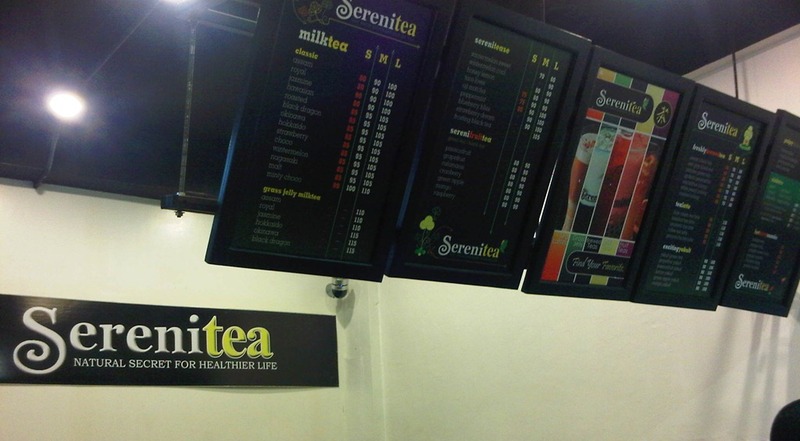 Serenitea – Your healthy alternative drink. 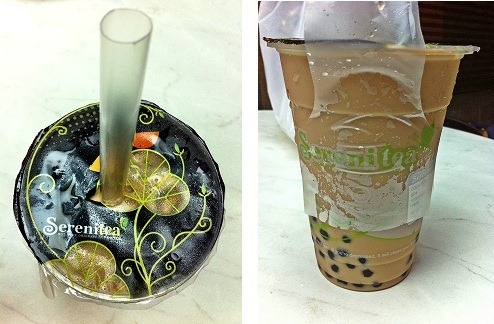 I love Serenitea! 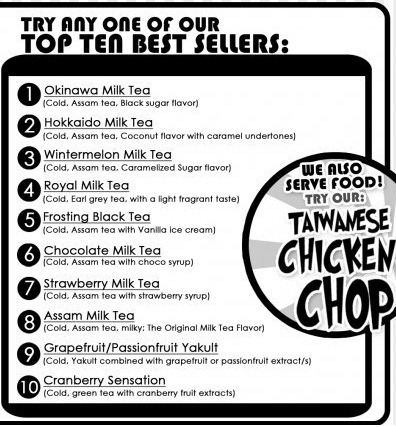 Especially like their Hokkaido Milk Tea with Pearls, paired with either Peppered Tofu or Chicken Chop. Yum! Thank you for visiting my site and for taking the time to read my entries. Since I love Quickly’s Taro Pudding with Nata, I should try Paopao Xiao Chi. Great tip, Krisel!